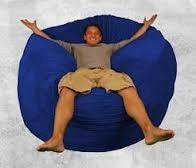 I had a bean bag chair as a kid, but not as fancy as hers! Why did I ever get rid of it? Two years ago today was the first time we saw Haley's audition and look what I just found! My very first post about her on facebook when I found out I know her in real life <3 <3 <3 <3 This was the night she made it to top 24 and my friend posted about her and I started freaking out. 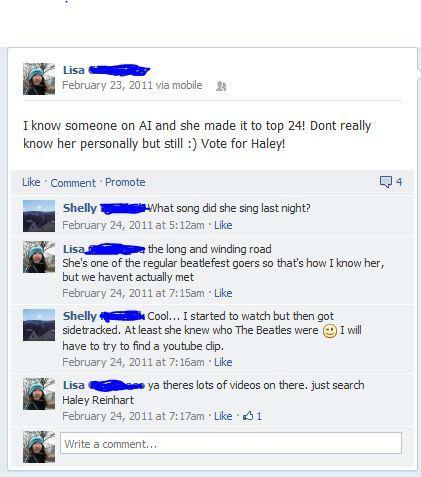 (01-26-2013, 01:45 PM)Haleylvr4evr Wrote: Two years ago today was the first time we saw Haley's audition and look what I just found! My very first post about her on facebook when I found out I know her in real life <3 <3 <3 <3 This was the night she made it to top 24 and my friend posted about her and I started freaking out. Two years ago today, I had my big debut on American Idol Come a long way and have so much farther to go. Thanks for your support everybody! (01-25-2013, 07:05 PM)Haleylvr4evr Wrote: I had a bean bag chair as a kid, but not as fancy as hers! Why did I ever get rid of it? I had 4 bean bag chairs in my van . That was the 70s and A frigg. Two years ago today, I had my big debut on American Idol Come a long way and have so much farther to go. 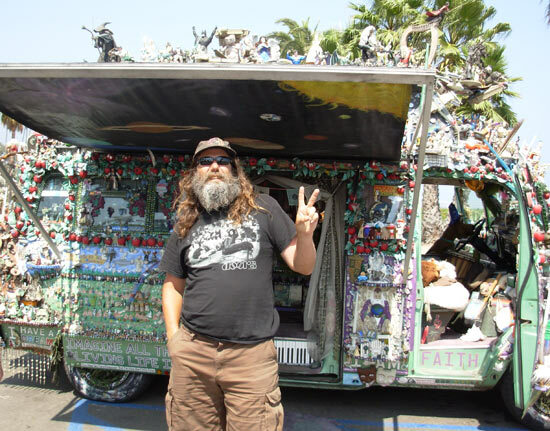 Ah ha you found my long lost album thAT I traided for a set of tires and 2 bean bag chairs peace and love. Current time: 04-24-2019, 12:31 AM Powered By MyBB 1.8.19, © 2002-2019 MyBB Group.